Beer geekdom. 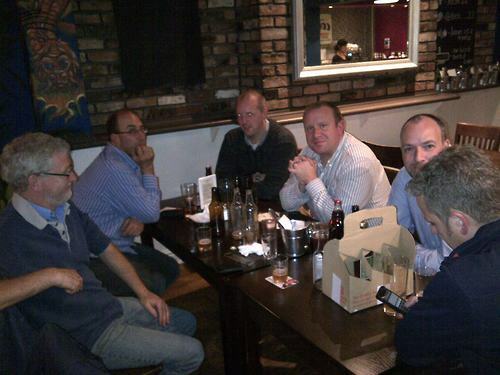 Meeting regularly in Cheshire in a bar near you. 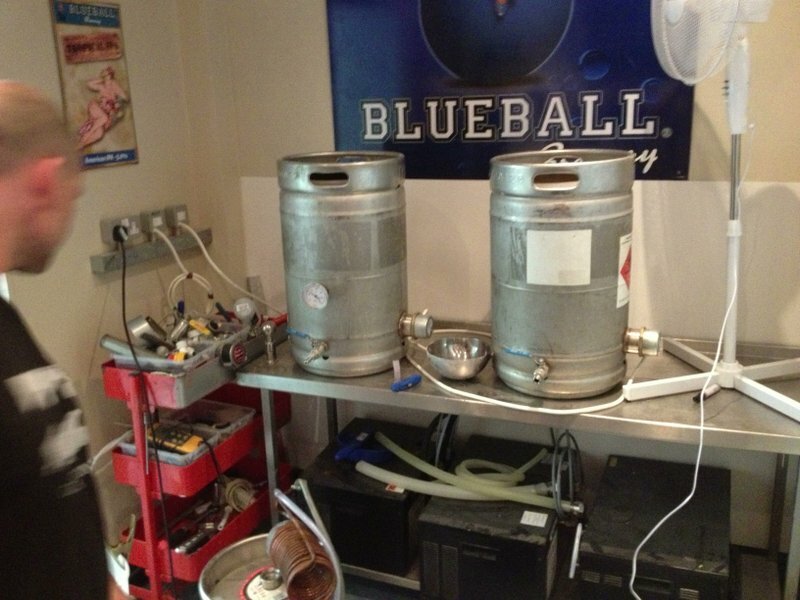 I may be preaching to the converted here but I am going to say it… Brewing beer is awesome! It also comes with a number of great benefits, the first is obvious; I can make my own beer! Surely this is the epitome of success for any self respecting man? If it that isn’t it then I don’t think I am interested what is! Probably not so obvious is the sense of comradery in the brewing community. Whether it comes from a homebrewer, or professional brewer, the amount and quality of the hints, tips, recipes, science lessons and wealth of information available is truly staggering. 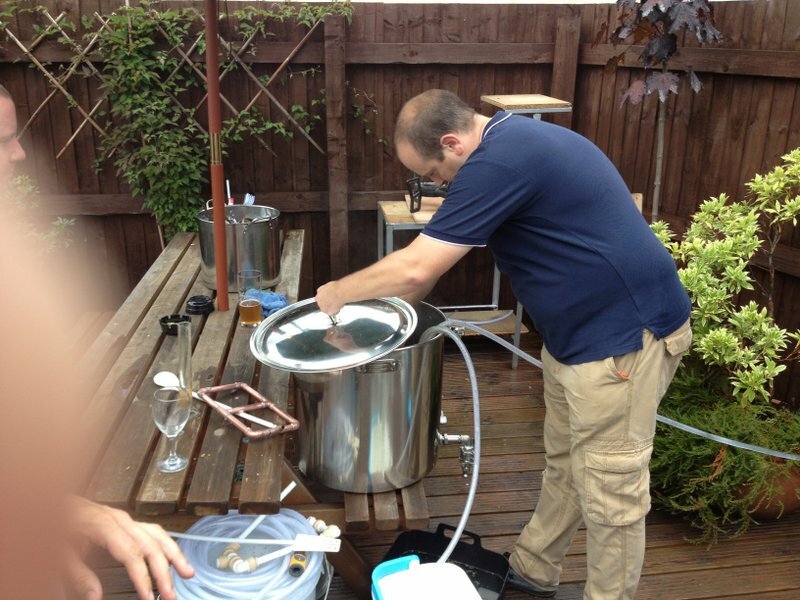 Thanks to brewing forums such as http://www.thehomebrewforum.co.uk/ homebrewers have a great place to hang out, ask questions, and generally talk brewing with like minded individuals. Of course, even better than that, is a Brew Club! Back in April this year, such a group met for the first time in Kash Bar in Chester, and thanks in no small part to our leader Nick and the amazing hospitality of Alex (Head Brewer for Blueball Brewery and owner of Kash Bar) the Brewdoo Homebrew Club was born. Since then five meetings have been held, ranging from bottle swaps (a sampling session of each others brews), to a Clone beer competition, and even a full on brewday! Some of the Brewdoo-ers! Talking beer no doubt! Nick, our fearless leader, brewing in the rain while we all huddle in the bar! 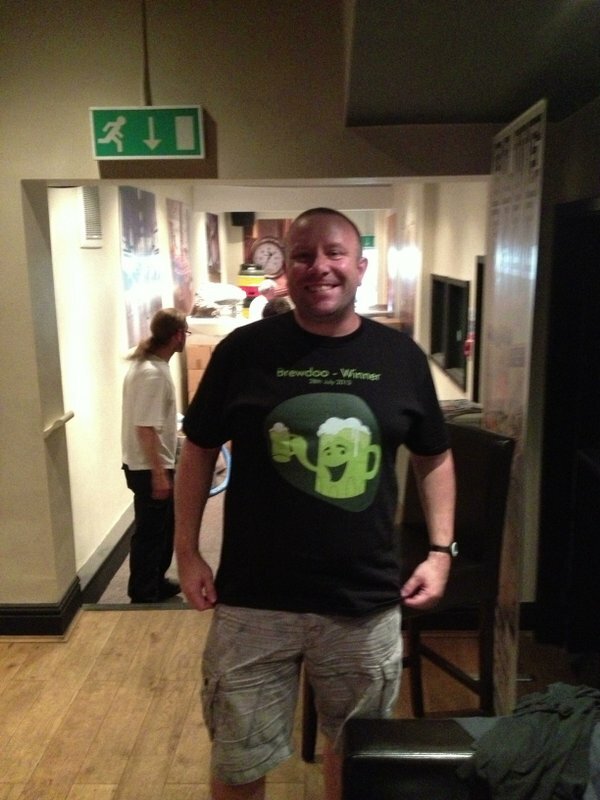 Chris, proudly showing off his ‘Clone Beer Challenge’ Winners T-Shirt! We are always looking for more brewers, non-brewers and wannabe brewers to join us. 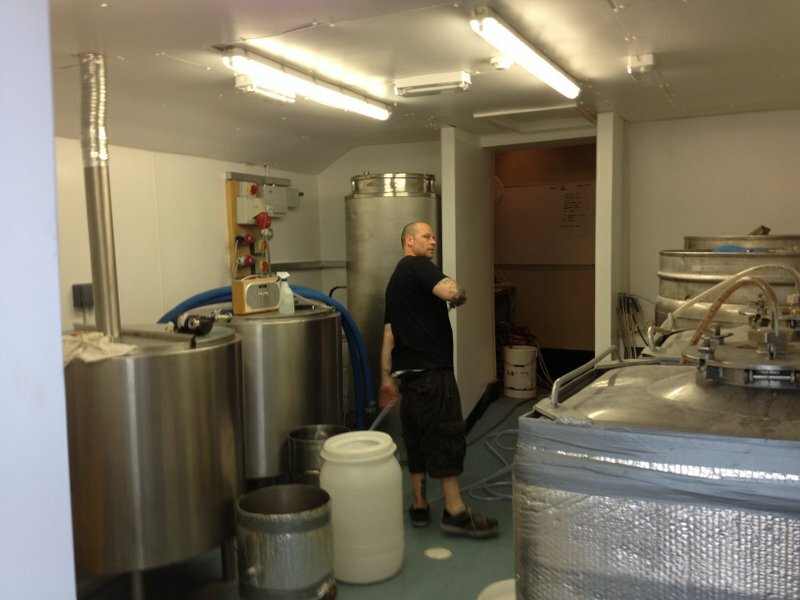 Whether you brew on big shiny All Grain systems, or pride yourself on the qualities of your kit ales, or even if you haven’t got into that ‘home-brewing lark’ yet and you fancy an evening talking beer with us and seeing what all the fuss is about, just look us up on Facebook (https://www.facebook.com/pages/Brewdoo/427037520713425) or Twitter (@BrewdooBeer) or drop me a message here and come along to the next meet!